As we all know, the Red Sox finished last in the AL East for the third time in four seasons while the Royals and Blue Jays played for the AL pennant. Although it seems the coverage surrounding the 2015 Sox strongly implied their failed season was a result of their starting pitching, a deeper look at the numbers suggests otherwise. As you can see, the Red Sox were far from the worst of the three. In fact, it is their opponents high Batting Average of Balls in Play (BABIP) of .313 that likely inflated their overall ERA, as it was nearly 20 points higher than the BABIP for the Royals and Blue Jays opponents. Additionally, the starters for Boston were best in strikeouts and home runs per nine innings and combined Wins Above Replacement (WAR), and not the worst in any of the categories. Despite similar performances from their starting pitchers, the overall records of each were quite different: (1) Kansas City 52-34; (2) Toronto 45-46; and (3) Boston 42-47. Considering where the Red Sox and Blue Jays ended the season, it is interesting to see how close they were, separated by only two games, at the midway point. The Red Sox starters finished with a 3.97 era, which was fourth-best in the AL, while the Blue Jays were second with a 3.34 era and Royals were ninth with a 4.36 era. Also of importance: the starters for the Rangers, who had the second best record in the AL over the final two months-plus of the season and won the AL West, finished the second half with a 4.55 era, which was ranked eleventh in the AL and provides further evidence of why Boston’s starters were not the primary reason for their last place finish. As you can see, the Red Sox had one of the strongest starting staffs in the AL following the All-Star break and were far better than the Royals, who would go on to win the World Series. While the World Series champions finished last in three (BB/9, HR/9 and WAR) categories and first in none, Boston finished first in innings pitched and strikeouts per nine and did not finish last in any category. See – you do not necessarily need a staff “ace” to win games over an extended period of time; rather, you must avoid having a rotation full of number five starters each competing for the right to be removed from the rotation, which was the case for the Red Sox during the entire first half and first 13 games of the second half. This is not a small sample size either as it totals just over 37% of a full season. There was no recognizable difference between the performance of the starters on the last place Red Sox and World Series champion Royals. As for them and the Blue Jays, the two staffs were ranked thirteenth and fifteenth in ERA and separated by only two games before the All-Star break. However, over the final two months-plus of the season, while Boston’s starters and overall record were fourth best in the AL, Toronto pitched at another level. The main difference? Their trade for David Price on July 30th, who proceeded to go 9-1 with a 2.30 era to lead them to 42 wins in their final 62 games and an AL East title. 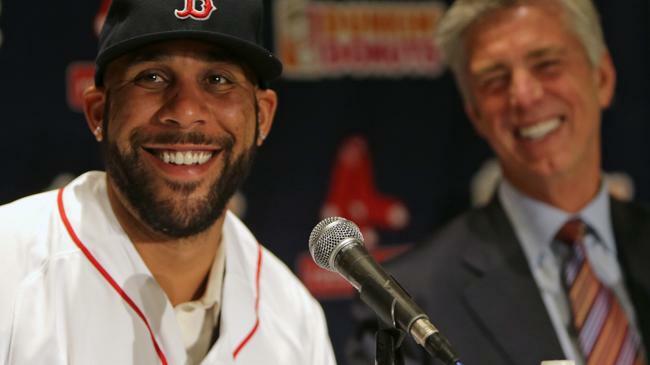 We all know where Price will be pitching in 2016. This may come as a surprise to some, but the Red Sox starters were better overall than the starters for the World Series champion Royals. Boston’s starters finished the season with a 4.39 era while Kansas City’s starters finished with a 4.34 era. The Blue Jays, who finished the first half with a 4.46 era, which was ranked thirteenth in the AL, finished the season with a 3.96 era that was fifth best in the AL. With regard to combined WAR though, the Sox starters were sixth in the AL at 12.1, Toronto ninth at 11.0 and Royals tenth at 8.4. It is important though while looking forward to the upcoming season that the Red Sox starters compiled the American League’s fourth-best ERA in the second half of last year and received no starts from their number one and two starters entering the 2016 season: David Price and Clay Bucholz. The Blue Jays starters achieved their second half numbers while being anchored by Price, who has since left and they have yet to sign any starter even remotely resembling a replacement this offseason. As for the World Series champion Royals, who Boston had a better starting rotation than prior to the Price acquisition and return of Bucholz, lost Johnny Cueto and have yet to sign any starter remotely resembling a replacement. No other team in the AL has upgraded their rotation from what it was on the final day of the 2015 season like the Red Sox. In fact, it is hard to come up with a reasonable second. As demonstrated here, Boston's rotation was good enough to win the World Series last year. Therefore, with the additions of Price and Bucholz to the trio of Porcello, Rodriguez and Kelly, who anchored the fourth-best rotation in the AL over the final few months of last season, the current rotation may be best positioned within the AL to win the World Series in 2016. Questions for the Readers: Do you blame the Red Sox starters for the 2015 season? If so, why? If not, who do you blame? Looking forward to 2016, do you think the current rotation is good enough to win the World Series?